MyBike is a bicycle store founded in 2011. 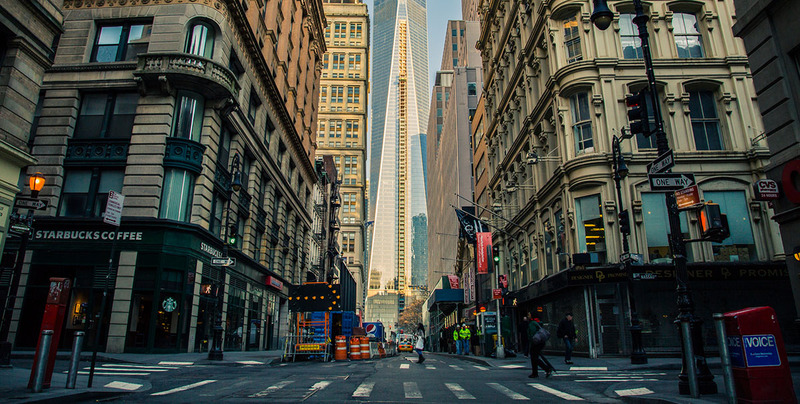 From its foundation till now our shop has proven to be a reliable and leading company which has gained trust among its costumers and impeccable reputation in the field. 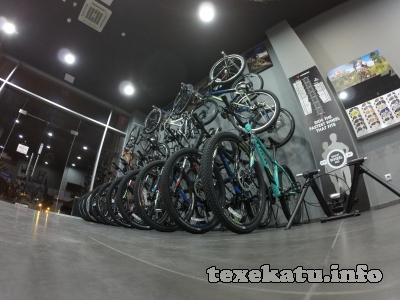 Today we are official representative of world famous Trek’’, Cube and Salcano brands.rnrnIn our Shop one can find various bike models (mountain bike,city bike, highway bike, women bike , children bike), as well as a wide range of bicycle accessories and spare parts.rnrnOur goal is to improve bicycle culture in Armenia and to preach healthy lifestyle. Sale of bicycles, spare parts and accessories. 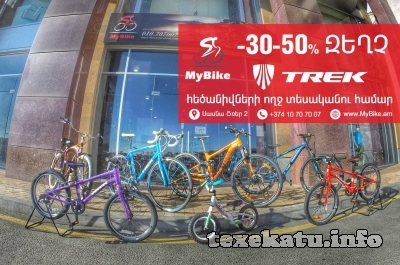 Sale of bicycles on credit: 0%.